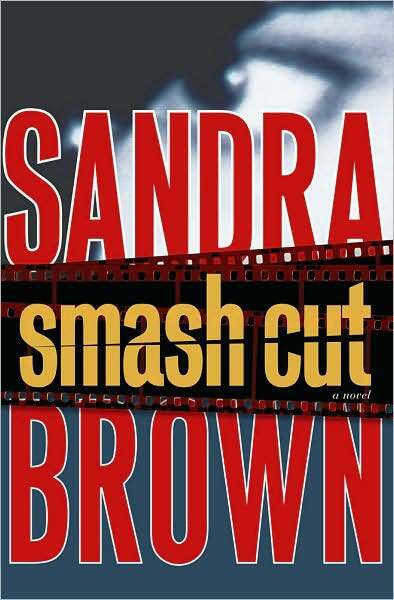 Book: Smash Cut, by Sandra Brown. I selected this book for #2 on my list because it had a movie theme which I thought was highly appropriate given my 50/50 challenge. Plus, I had the privilege of hearing Sandra Brown speak at DFWCon last year. I was so impressed by her that day that I rushed out of the auditorium, bought the book (yes, actual hard copy!) and stood in a really long line to have her autograph it. She is an amazing public speaker, and all around very nice person. If you get the chance, go meet her. The story starts out with some seemingly non-related events. By the end, the events are not only wound so tightly around each other you can’t stir them with a stick, but the layer upon layer of subplot which comes together increases the tension to the point where I could not put the book down. I also couldn’t turn out the lights for several days, and walking alone to my car in the parking garage has my heart pounding. First Line: “Creighton Wheeler stormed across the bluestone terrace, whipping off his sun visor and making a swipe at the sweat streaming down his face, then without breaking stride, angrily tossed the damp towel and visor onto a chaise. This better be damn important. I was about to break his serve.” As first lines go, it’s ok. There’s enough action to move me along. To me, though, the first line of Chapter 3 is better: “It was decided midway into their second Bloody Mary. At least his mind was made up, and gauging from the signals she was sending, hers was, too. The conditions weren’t ideal. It would take some tricky maneuvering, but he happened to be extremely good at tricky maneuvers, and where there was a will…” Now isn’t THAT more intriguing? I found myself wishing the story started with chapter 3. Not just for the great opening line, but for the fact that chapter 1 and 2 confused me. They are in omniscient point of view, and the head hopping drove me insane. I nearly put the book down because of it. In Chapter 3 it stops the head hopping and sticks to a single character POV, and the story is much better for it. I’m not sure why the first two chapters are like that; it’s almost like they were added on as an after thought. If it bothers you, skip ahead to chapter 3. Don’t worry, any details you might miss will be presented again. From there on out it’s a fast romp through a twisted murder mystery. The antagonist is cunning and beautifully evil. The protagonists are likable and make human mistakes that get them mired deeper into a mess they might not get out of. Just when you think you have the mystery figured out and are simply waiting for the cops to catch on, another shoe drops. Will they solve the crime before someone else dies? Read it, find out! 4 stars for great plot, awesome characters, good pace, and over all thrill factor. Minus 1 for clunky beginning. 4/5 stars! 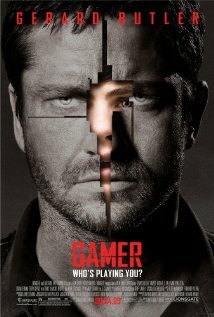 Movie: Gamer – Gerard Butler, Michael C. Hall and Ludacris. I’d never heard of this movie, but I have heard of Gerard Butler which is what drew me to it. Butler has a real grrrr factor. That and the fact that I’m a game geek. Plus, the movie poster is pretty darn cool. In this future world we’ve solved budget issues by allowing convicted felons to become avatars in a real life Gears of War looking game in which regular citizens get to control them as avatars. If they make it through all the levels they win their freedom. If they don’t, that’s one less felon we have to pay to keep. There is a ton of blood, gore, and death as nobody has ever made it through all the levels of the “game” alive. Yes, there are similar plots out there. Running Man comes to mind, as does Surrogates and even The Matrix. I thought the idea of solving prison overcrowding by using the prisoners as game tokens was a unique angle. Add to that another form of the game involves normal citizens playing a Living Social game in which they control other people (who have volunteered to act as avatars). This is disturbing on so many levels, mostly because I don’t feel like we are that far removed from this sort of reality. The more social that virtual “reality” becomes, the more likely people are to want to live their lives in the virtual world instead of the real one. Who wouldn’t want to live life being able to act and look exactly as you wish? No consequences, no need for a diet because your avatar looks fantastic. And in this case, the avatar you get to control is an actual person. People controlling other people. There has to be all kinds of Freudian implications in that. While I didn’t appreciate some of the stereotypes portrayed (600 pound fat man in the basement running a female avatar; the fear of teen gamers everywhere), the story and pace were more than enough to keep me fascinated. The ending needed just a tiny bit more: more action on the part of our hero, more appropriate dialogue (“just a mouse click away”? In a society that is so far removed from mice that they probably don’t even know what one is? ), more twists and less cliche. However, all in all I enjoyed watching it. Good fun on a Saturday evening.3 stars for great acting, good plot and action. Minus 2 stars for a bit of cliche plot points and not enough ooomph at the end. 3/5 stars.